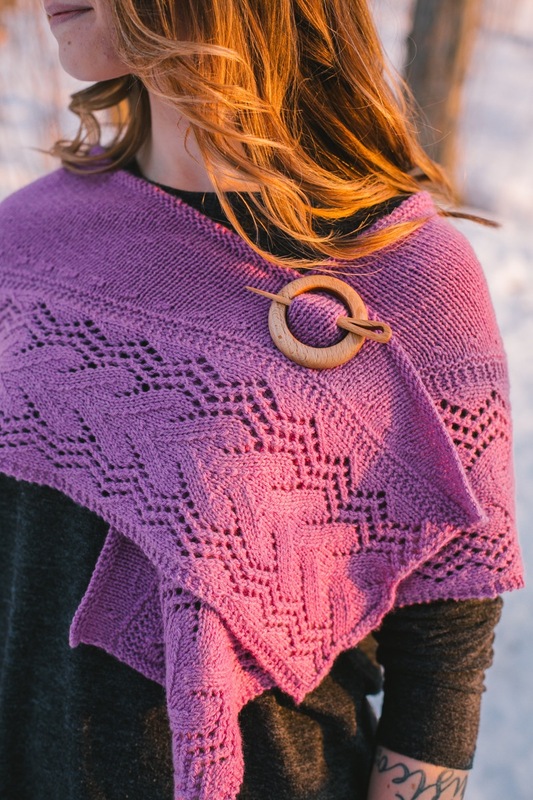 This lovely wrap celebrates the timeless beauty of gorgeous fiber and traditional knitting. We have a thing for traditional lace patterns here at Reywa, and fell instantly in love with the classic Shetland stitching used in this pattern. 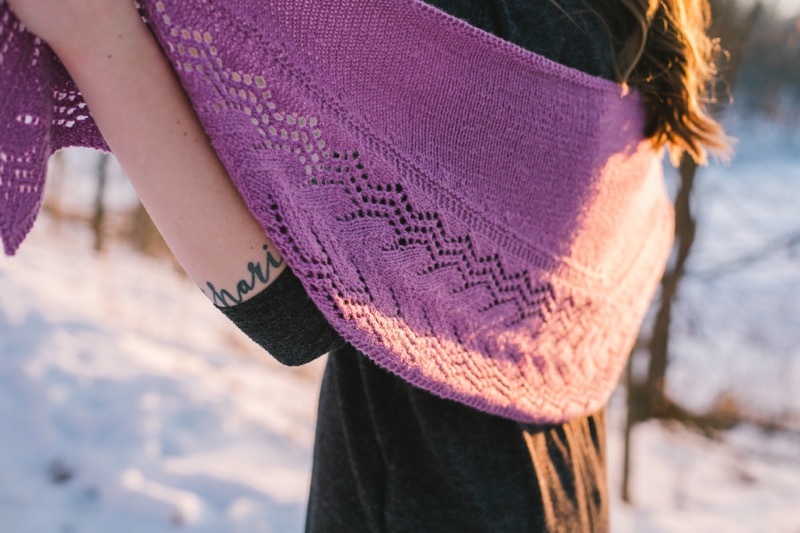 The lace panel is knit first like a scarf, then shaped into a shawl with short rows. Yarn: Two skeins Reywa Fibers’ Harmony (50% yak down, 50% wool). Sample shown in Slipper Orchid.